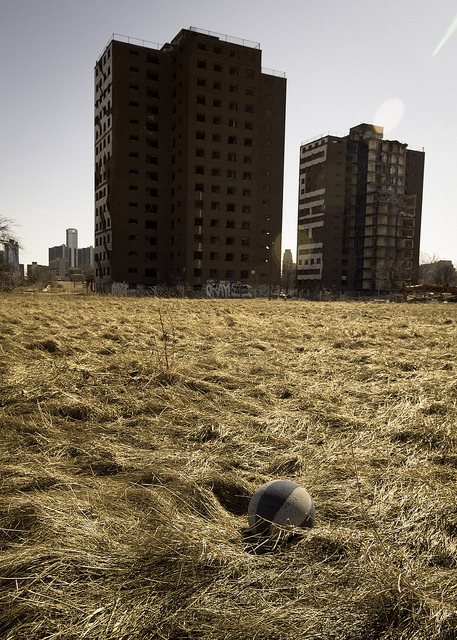 Detroit’s Brewster Douglass Projects can be spotted in the Lost River official trailer. Photo credit: Bryan Debus (flickr). 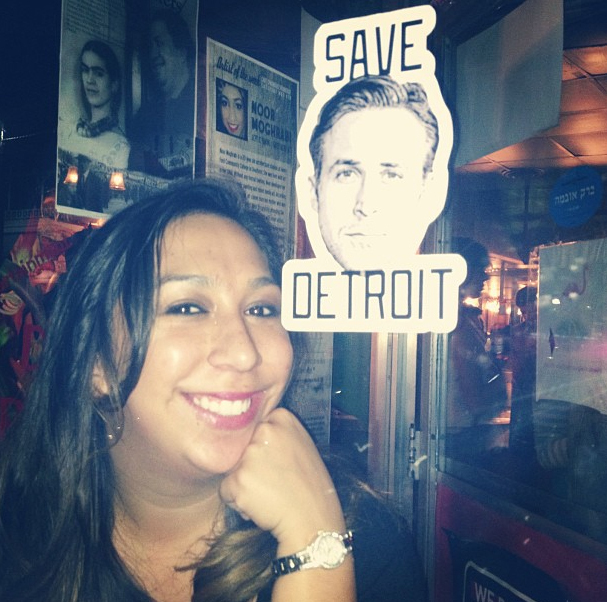 I spent much of the summer of 2013 stalking, ahem…searching for…Ryan Gosling in Detroit. He was in The D to direct his film How To Catch a Monster (since re-titled Lost River) and built up quite the following while in the Motor City. The fantasy thriller hits theaters April 10, 2015 and Warner Brothers recently released the movie’s official trailer. Stars include Eva Mendez, Christina Hendricks, Saoirse Ronan (the girl from Lovely Bones) and Doctor Who‘s Matt Smith. While in Detroit, the crew was spotted all around town including the Brewster Douglass Projects, the Masonic Temple and Belle Isle. Gosling also became a regular at Cafe D’Mongos. Despite the fact that the film didn’t wow critics at Cannes, I still plan to check it out. Although the part of the trailer with a bloody Eva Mendez is a little creepy. I love watching movies filmed in The D and keeping an eye out for local landmarks (looking at you Transformers 4). This is the closest I got to catching Ryan at Cafe D’Mongo’s in Detroit. The Skinny: Ryan Gosling’s filmed-in-Detroit movie Lost River premiers this April. I vote it’s worth a watch to catch Gosling’s directorial debut and because of the pretty solid cast. Do you plan to see it? Categories: Entertainment | Tags: #HTCAM, Cafe D'Mongo's, Detroit, Lost River, Ryan Gosling, The Magic Stick | Permalink. For about a year now I’ve been making excuses why I haven’t been able to dedicate the time to start my own blog, but that ends tonight. Welcome to my new blog, The Detroit Skinny. I want this site to be a resource for those who live, work, play or are just curious about Detroit, but are just looking for the quick rundown on town — the skinny, if you will. Growing up just outside of Detroit and having worked and/or lived in the city for a collective six years, I’ve developed a passion for all of the great things going on in The D. I’m hardly a Detroit veteran (trust me, there are plenty! 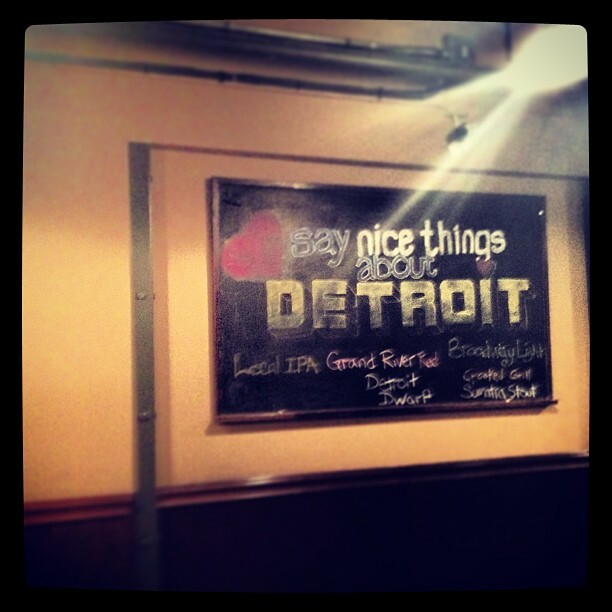 ), but I do enjoy helping people get to know Detroit based on my firsthand experience. The City of Detroit, its landmarks and unique neighborhoods. Food, Detroit restaurants and cooking (sometimes). Craft beer, Michigan breweries, cocktails, wine and bars in general. Fitness, running and trying my best to achieve good health (don’t confuse me with a health nut). Traveling and exploring the Motor City through photography. Nonprofits and organizations doing great things in Detroit. I promise to give you honest thoughts/feedback on things in Detroit that I have actually experienced or am genuinely interested in. If you have any questions or tips about Detroit-centric news, send me a Tweet at @AngelaHernandez. Categories: Skinny Updates | Tags: Detroit, Detroit Skinny, Lena Dunham, Michigan, Motor City | Permalink.